No one can resist the temptation when it comes to ice creams. Everyone loves this frozen treat. Its ubiquitous in parties and steals top place in dessert chain. I admit, its hard to beat the texture and taste of shop ice creams but that doesn’t mean homemade ones are bad. Give it a try! You won't be disappointed. Its simple and doesn’t require an ice cream maker. Pour whipping cream into a wide bowl and add condensed milk. Set the hand mixer to medium and whisk for 2 mins. When you get the desired texture, divide the whipped cream into three equal portions. Wash the strawberries and make a puree using a blender. 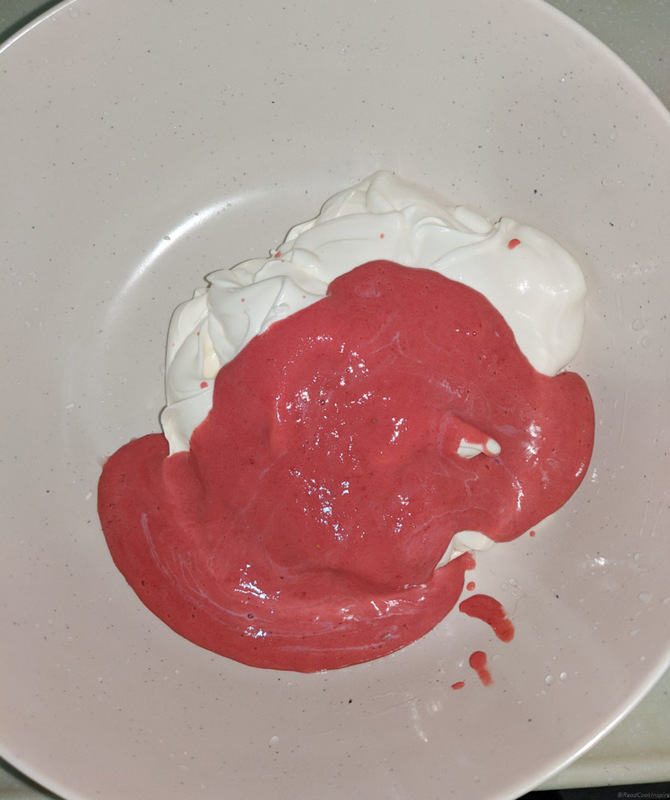 Take one portion of prepared whipped cream, add strawberry puree and gently fold it with a rubber spatula. Put the strawberry mix in a box and freeze it for 6 hours before serving. We are going to repeat the same steps used for preparing strawberry cream. Take second portion of whipped cream and add a tbsp of cocoa powder, few choco chips. Mix the cream gently with a spatula. Put in a box and freeze it for 6 hours before serving. Take third portion of whipped cream and add coconut cream. As we have added coconut cream spatula will not be helpful for whisking. Set the hand mixer to low speed and whisk for 30 secs. Three flavors, Which one would you pick first, Enjoy! If you only have regular cocoa powder then add 3 tbsp of it. Decorate the ice creams with tutti frutti, chopped nuts, choco chips or sugar sprinkles. You can also add freshly cut fruits (small chunks) and serve it in an ice cream bowl.